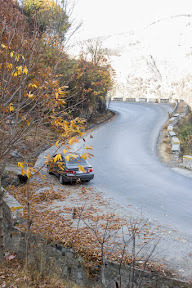 On the way to Nathia-Gali from Abbottabad. 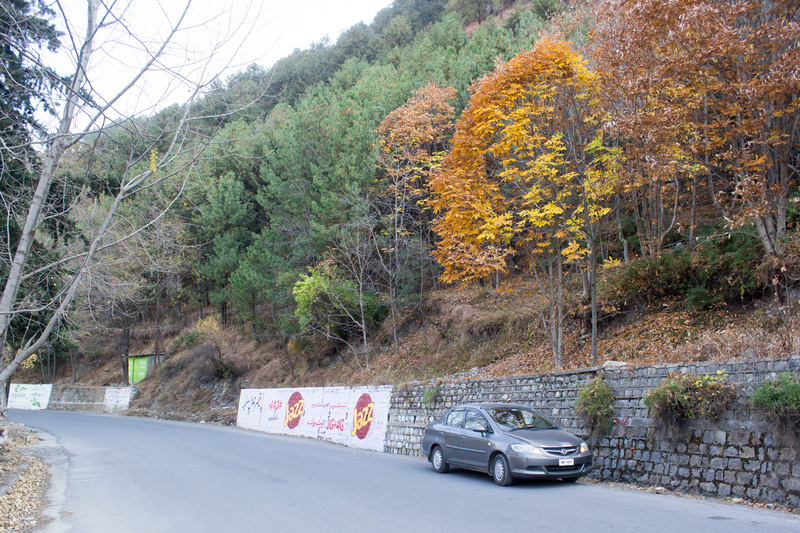 I was amazed to see the beauty around the road which leads straight into the mountains. Clean road, less traffic, autumn colors and cloudy weather were contributing the peace the place had. 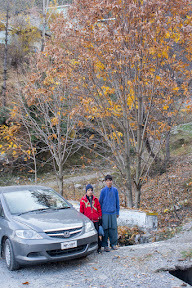 On the way, I stopped at a couple of places and realized that the temperature is colder than Abbottabad. 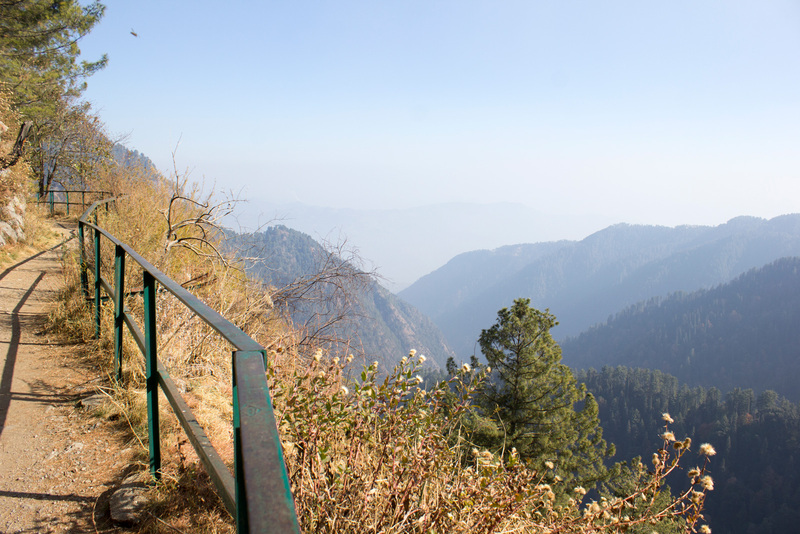 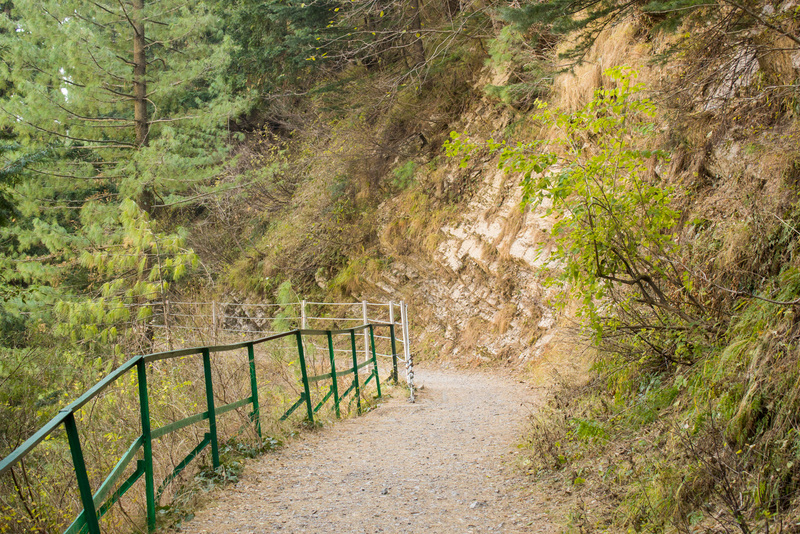 I had enough time when I reached Donga Gali so I decided to explore the Pipeline trek, which is about 4KM long. 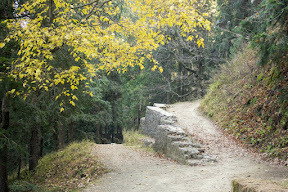 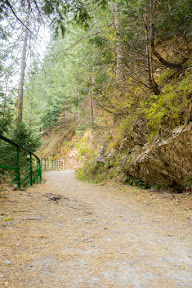 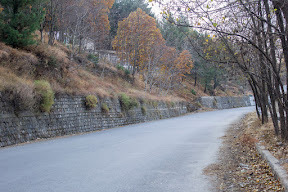 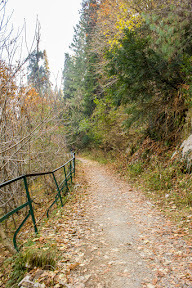 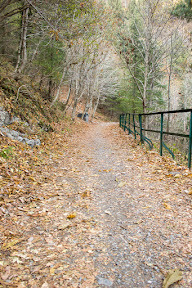 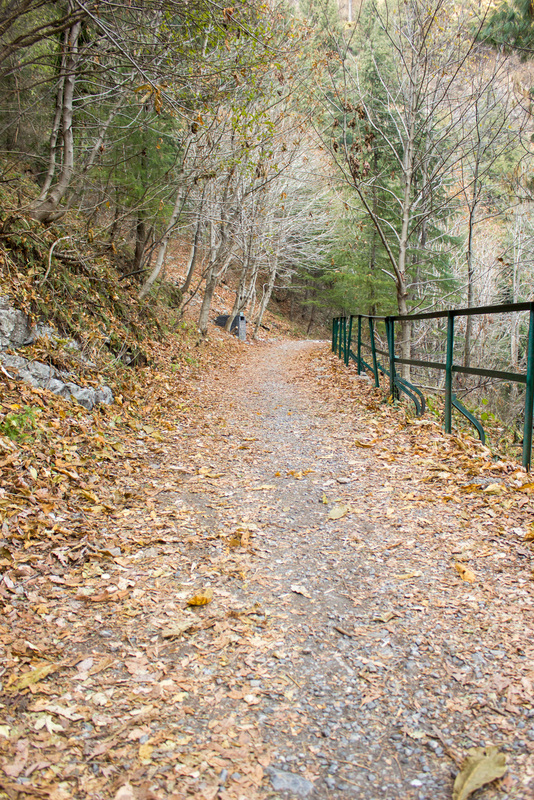 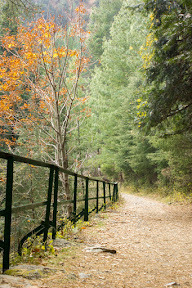 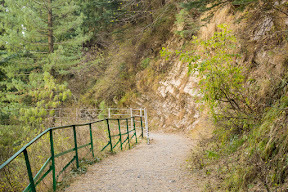 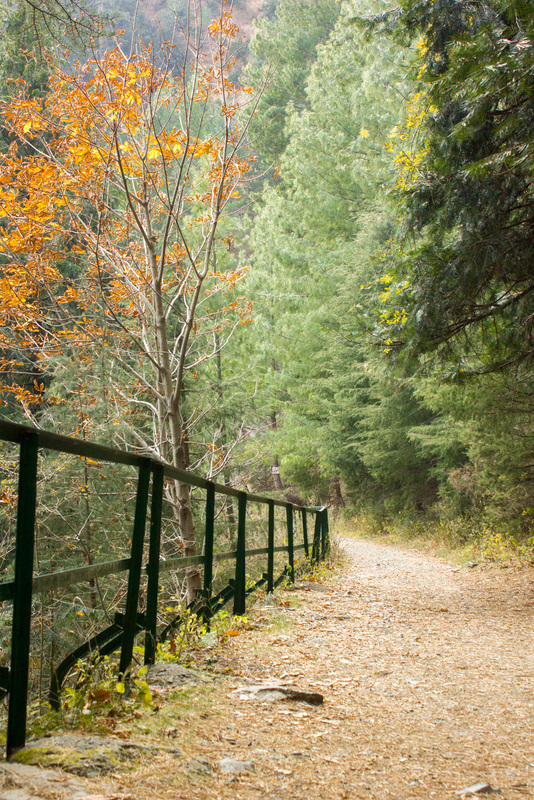 Dunga Gali to Ayubia track is named so as it is just beside the pipeline that supplies water from Dunga Gali to Murree. 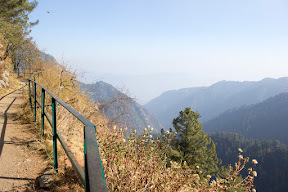 The trek provides amazing views passing from mountain to mountain and finally ending in Ayubia Bazaar. 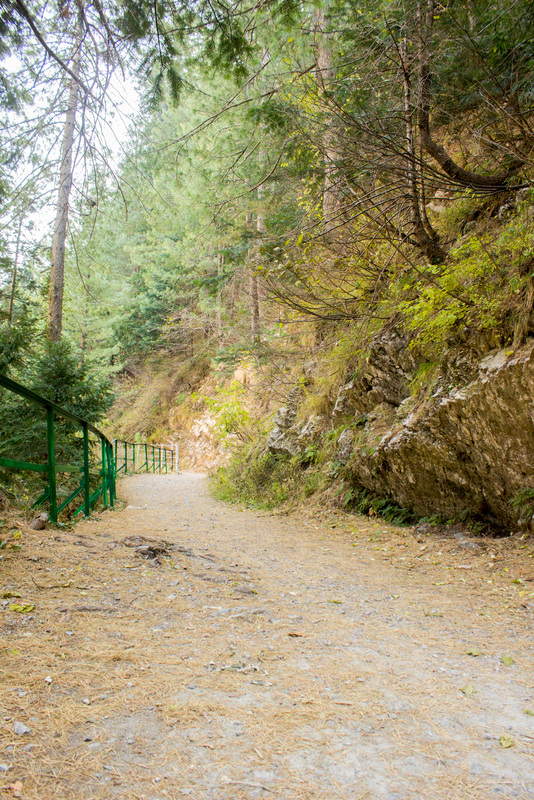 The trek is relatively plain which can be completed in 1hour and 3 minutes. Make sure you grab a water bottle and some cookies before you start the trek.